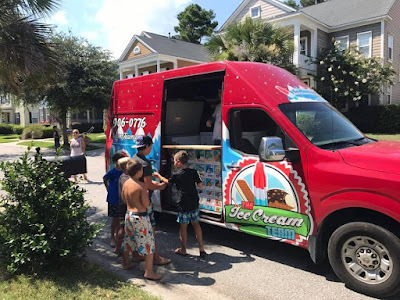 HANAHAN, S.C. (WCIV) — The Tanner Plantation neighborhood in Hanahan was having an all-out hurricane party on Wednesday. 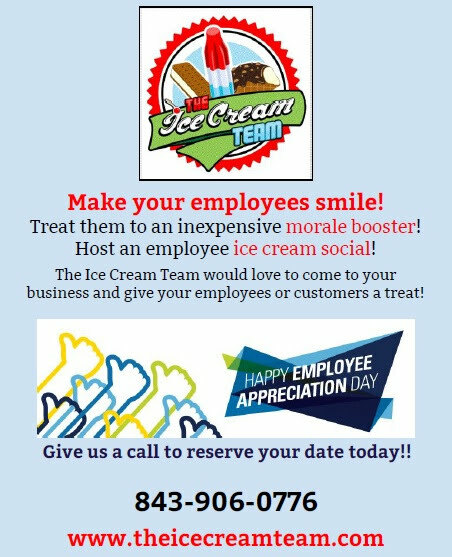 While most places were closed, business had never been better for the Ice Cream Team. Liz Wilson was the woman making all the stops, garnering long lines along the way. 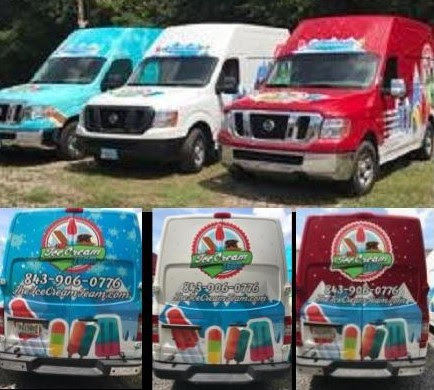 It was a hit with the kids to no surprise, but one of the biggest sellers was the alcoholic ice pops made just for adults. 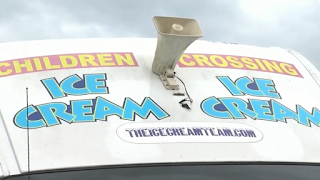 “I know there’s parents out here who probably have their nerves in knots dealing with the children and preparing for the hurricane,” Wilson said. 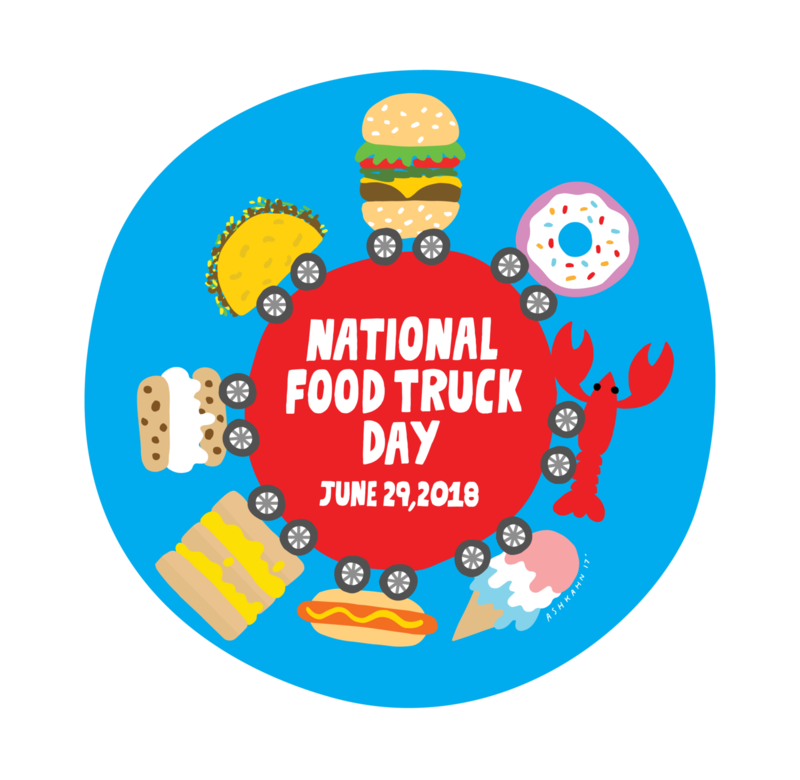 “My home’s taken care of, figured I’d come out here, make a little money and keep everybody happy at the same time.” By 2:30 p.m. Wilson had already made stops through six neighborhoods. She said it all started with a Facebook post to a neighborhood group. Much to her surprise, the requests came rolling in and did not stop. 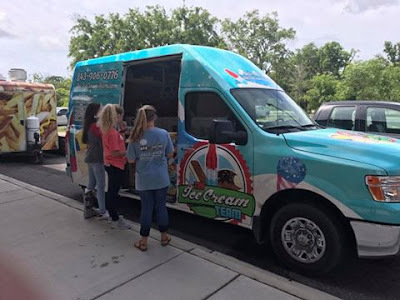 “We decided to get them out while we can, the pool is open, the weather is not bad,” said Ashley Wheeler, a mother living in Tanner Plantation. 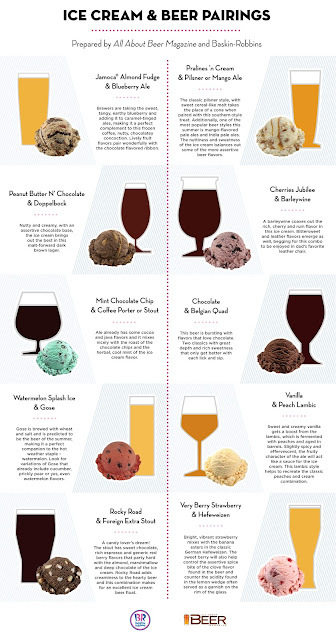 “These are adult treats. I got Marketplace Margarita, Strawberry Sinner. This will be my first time. 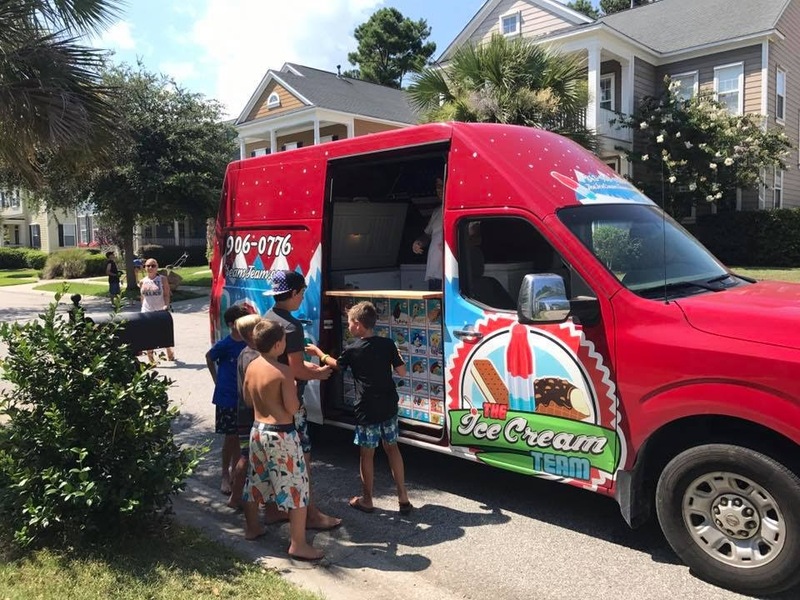 It will be a good memory.” Wilson said she had to restock the alcoholic pops several times throughout the day, which concluded with stops to ten neighborhoods. 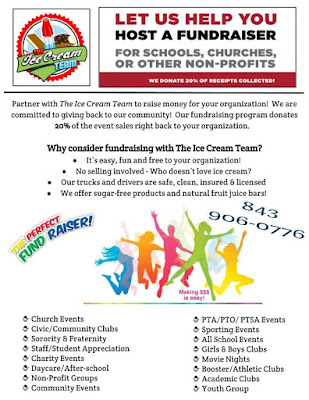 We specialize in Events & Fundraisers! 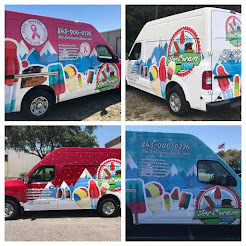 The Ice Cream Team is a mobile ice cream truck, serving premium ice cream novelties throughout the Charleston, SC area. 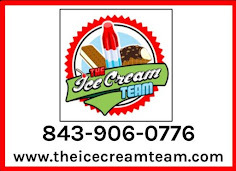 We specialize in catering events- no matter the size!. 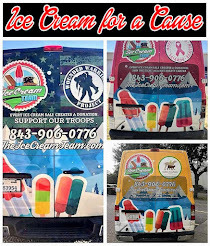 Our trucks are new and feature a sleek custom paint job, with vibrant graphics that will make you happy you hired The Ice Cream Team for your next event.. Our friendly and professional ice cream truck catering team is committed to you. Experience the Ice Cream Team difference and book your next event, party or fundraiser today! The Ice Cream Team is a great addition to any school event and a huge hit with children of all ages! 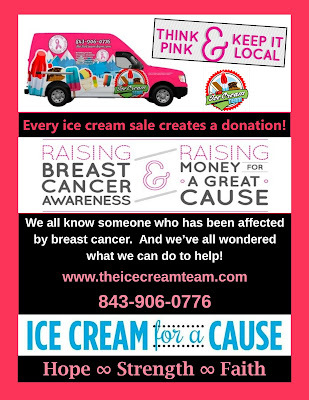 The Ice Cream Team's owner, Eric Reiner, has the motto: “One ice cream at a time helps join the fight against cancer!” and plans to use the truck to gather local support for cancer research on the street, at local events and beyond! 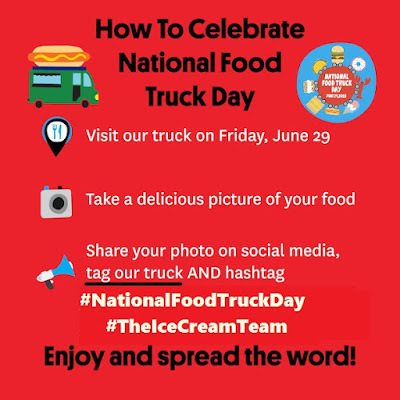 The Ice Cream Team, founded in 2012, currently has a fleet of six trucks that roam the streets of Charleston and Berkeley County and can be seen at many local events as well as private catering and fundraising. 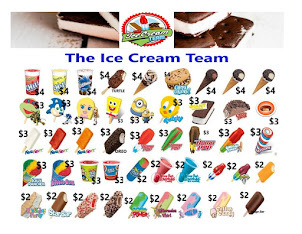 The ICT sells pre-packaged novelty ice cream treats made by Blue Bunny, Good Humor, Popsicle and SnoBar brands. 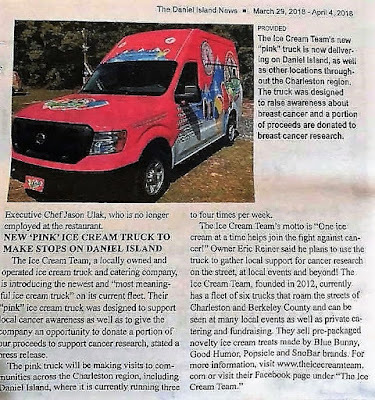 The Ice Cream Team in the News! The Ice Cream Team, a locally owned and operated ice cream truck and catering company, is introducing the newest and “most meaningful ice cream truck” on its current fleet. 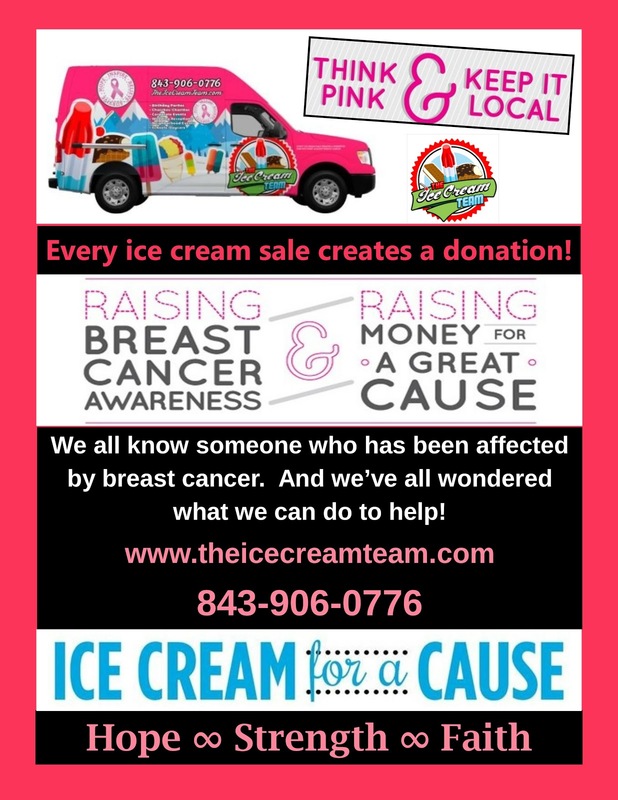 Their “pink” ice cream truck was designed to support local cancer awareness as well as to give the company an opportunity to donate a portion of our proceeds to support cancer research, stated a press release.